Team TIBCO/To the Top is proud to announce a partnership for the 2012 season with Pinnacle Training Systems, the coaching, nutrition and wellness company founded in 2009 by former pro cyclist Felicia Gomez, Ph.D.
Gomez was already part of the Team’s organization, having directed the Team TIBCO Juniors in 2011, a capacity she’ll continue in for 2012. “Since we already had the relationship with Felicia, it was natural to look to her company for the testing and nutrition support we wanted to provide the riders this season,” Jackson said. Gomez and her team of physiologists, kinesiologists and nutritionists will provide VO2 and threshold testing to the riders, as well as set up individual nutrition plans. During the week leading up to training camp, which starts this coming weekend, all the riders will be doing food tracking, and then Gomez will have individual consultations with each rider to assess diets and make nutrition recommendations. Gomez and Pinnacle will perform the first round of testing out of their new office in San Louis Obispo next weekend, during the first part of the Team’s training camp. The Team will then move on to Carpinteria near Santa Barbara for the main portion of camp the following week. “These initial tests will allow us to gauge where each rider is at right now, and what they need to do to get where they want to be to meet their objectives,” Gomez said. “All the information we compile during camp will be available for the riders and their coaches to use throughout the season,” she added. Gomez and her team will also do another round of testing mid-season to gauge the riders’ progress and make sure they’re on track to achieving their goals. “We’ll also be available to them throughout the season if they have questions or need additional information,” she added. Gomez holds a Ph.D. in Exercise Science and Nutrition from the University of Guelph, and is an associate professor in the Kinesiology Department at Fresno State University in California. Gomez began her athletic career as a runner before taking up duathlon, a sport in which she twice participated in the World Championships. 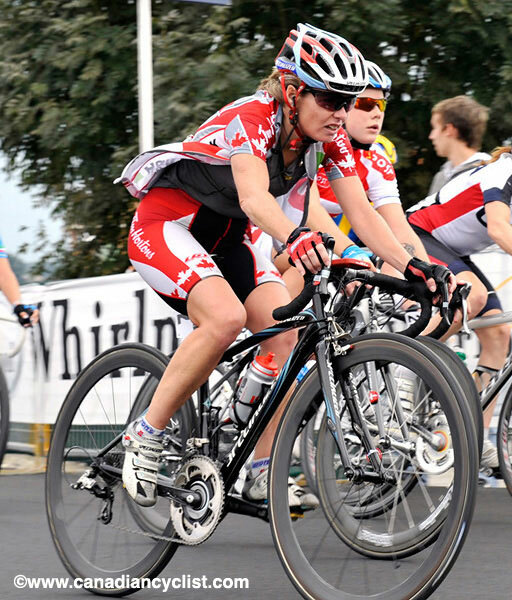 After accepting the professorship at Fresno State in 2002, she began to take racing her bike more seriously. She developed into an elite performer, twice medaling at the Canadian National Championships, and twice participating in the World Cycling Championships. In addition to coaching different types of athletes, Pinnacle Training Systems also provides nutrition and wellness services to a variety of clients, including elite athletes and corporate clients.